Black and white negative of an unidentified building taken from the shoulder of a road. Cars are parked in front of the building. 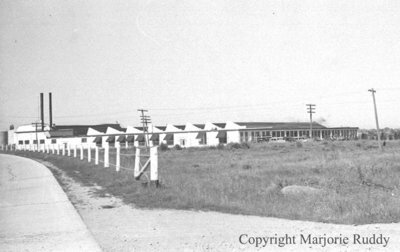 Unidentified Building, c.1945, Marjorie Ruddy. Whitby Archives A2013_040_847C.